One of the biggest fears holding drones back from widespread adoption is fear of drones crashing — and interfering with manned aircraft. A recent report from the Federal Aviation Administration stated that 3,714 drone sightings were reported between November 2015 and March 2017. The FAA closely tracks reported drone sightings, which could potentially lead to interference with a manned aircraft. So how worried should you really be about all those drone sightings? And it turns out, 3.19% of drone sightings were potentially dangerous enough to manned aircraft that it caused the aircraft to reroute. That being said, don’t freak out when you hear that thousands of drones have been sighted by pilots. The vast majority of them — more than 96% — are totally benign. Additionally, it’s not even certain whether those drone sightings really happened, given that anyone can make a report; it doesn’t have to be verified or proven to be simply reported. 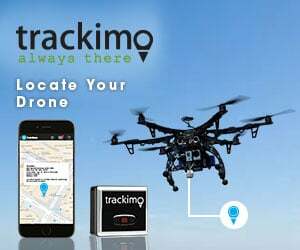 Reports are documented whether or not there is any sort of evidence, and often times, objects initially reported as drones turn out to be balloons or trash bags. However, it’s worth taking those 3% of drone sightings seriously. But some drone industry experts even question the accuracy of the FAA’s drone sightings report completely. For hobby flight, the 400 ft altitude is a recommendation, not a regulation. For Part 107 operators, it is a regulation, but it can be waived on application for a waiver. In reality, few of the hobby-class drones could reach the altitudes in some of these “reports” before their batteries are exhausted. I have been a commercial pilot for 35 years and I can assure you that I couldn’t identify something the size of a dinner plate 200 ft away while preparing for landing at 150 knots. No one has vision that good. The human eye is the absolutely worst instrument for judging distance. Especially up. I can’t tell you how many times a small private aircraft was 1000 ft above me and we rarely could make out the speck in the sky, let alone identify it. If it were an airliner 1000 ft above me it would be just as small a speck. This is typical fear mongering and catering to the paranoid. The panic, here, is completely out of any sort of proportion to reality. There is absolutely no factual evidence to support the fear and ignorance around small personal drones. “would be jealous to have. ” is a cut-n-paste error. Disregard that line.